Pioneers in the industry, we offer orifice plates and orifice flange assemblies, integral orifice meter run assembly, orifice plate, orifice plate with flange assembly, orifice plate flange assembly and orifice flange assembly from India. 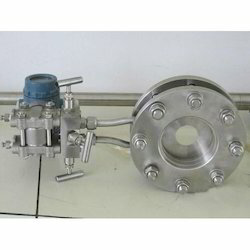 “Kabir” make orifice plate with flange assemblies are employed for measuring the rate of flow or quantity of moving fluids like liquids, gases or steam. the orifice plates are designed as per bs1042-1981 / iso 5167 & kabir standards. when a device such as an orifice plate in a pipe line through which a fluid is flowing, as static pressure difference exists between the upstream side & the downstream side of the device is geometrically similar to one on which direct calibration has been made, the conditions of use being the same, the rate of flow may be determined from a knowledge of the circumstance under which the device is being used. Flanges astm-a-105/a182 /s 316/ss 314/ monel. Our esteemed organization is considered amidst the renowned manufacturers, exporters and suppliers of Integral Orifice Meter Run Assembly that is use for measurement of flow or quantity fluids, the assembly offered by us is precisely manufactured by our skilled workforce using best quality raw material and leading technology in conformance with defined standards. We confirm our customers that the provided assembly is excellent on counts of quality. The Plate Holder Assembly isa combination of plate holder and on Orifice Plate designed for Ring Tongue Joint (Rid) Flanges. The plate holder hos o function of holding the Orifice Plate and also functions as a gasket to prevent leakage of the process fluid. The plate holder has on oval or octagonal ring for mounting between ring type joint flanges. This metallic sealing system is useful torn fluid of high temperature and high pressure. The pressure tapping system normally is of the flange tap type. 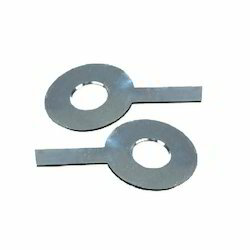 Orifice Plate is screwed to the plate holder Generally the plate holder is of soft Iron material. The Orifice Plate is available in standard material such as SS316, 0304, SS316L , Mane!, Hastelloy-C, etc. Other materials are available on request. 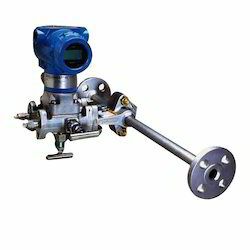 Orifice Plates are most commonly used primary elements for flow measurement in pipeline based on the principle of measurement of differential pressure create 4d when an obstruction is placed in the fluid flow, due to increase in fluid velocity. Orifice plates cover a wide range of application of fluid and operating conditions., They give an acceptable level of uncertainties at lowest cost and long life without regular maintenance. We have fully equipped integrated designing , manufacturing and testing facilities which are amongst the best in the country, Over the years we have manufactured and supplied or Orifice plate assemblies to many prestigious projects in the Domestic as international market. 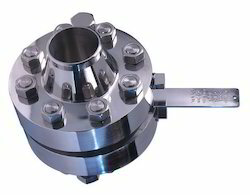 The square Edged concentric type of orifice plate is most commonly used for flow measurement. This has got features such as simple structure, high accuracy. and ease of installation & replacement. The orifice plates are correctly finished to the dimensions, surface roughness, and flatness to the applicable standard. These plates are recommended for clean liquids,. Gases & steam Flow. We also manufacture eccentric orifice plates, segmental Orifice plates Quadrant Edge orifice plates, conical entrance orifice plates. 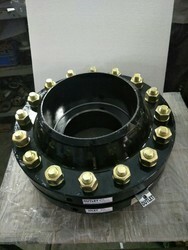 We are instrumental in providing our clients a comprehensive range of Orifice Flange for a variety of flow conditions. 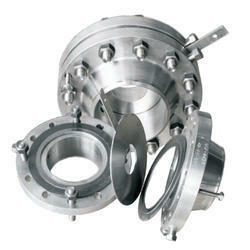 Offered flange assembly is manufactured utilizing only premium quality components and high end technology. Our quality controllers stringently inspect this assembly in order to ensure its flawlessness. 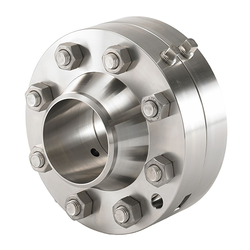 Apart from this, our provided flange assembly can be availed in a variety of models and other related specifications as per the requirements of our esteemed clients. KABIR MAKE reputation in the market is largely attributable to our precision-designed Orifice Plate Flange Assembly that is manufactured using ultra modern technology. Provided flange assembly is widely used in various industries for measurement of flow or quantity of moving fluids. In order to ensure its flawless quality, offered flange assembly is rigorously checked on various quality parameters by our quality experts. 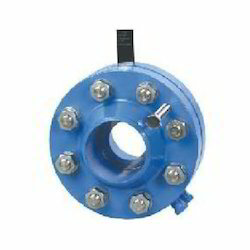 Apart from this, offered flange assembly is available in the market at cost-effective price. We are recognized amongst the most trusted enterprises, involved in offering our clients wide array of Orifice Flange Assembly for a variety of flow conditions, our offered flange assembly is manufactured from the modernize technology and superior quality raw material. 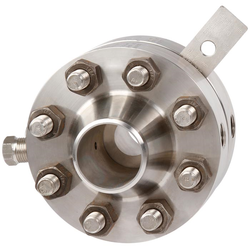 Besides, we offer the flange assembly in a wide range of stipulations as per the needs of our customers. KABIR MAKE Restriction Orifice Plate and Orifice Flange Assembly. A complete range of Orifice Plate And Flange Assemblies for a variety of flow conditions for mounting carrier Ring and with RJ Plate Hold for mounting between RJ Flanges. Standard material of studs/nuts: ASTM a193 gr. b7/a194 gr.2h. Orifice Plates offeredcan be made available by us in carbon steel as well as in other metal finishes as per the specific requirements of the customers. These plates come with capability to handle high pressures as well as offer superior resistance to corrosion. Some of the areas these find use in include oil & gas, construction, water draining and others. The features include choice of different industry standards like ANSI, AWWA, DIN/ EN, JIS and others; different construction material choices like carbon steel, low temp carbon steel, high yield carbon steel, stainless steel, low alloy steel, duplex stainless steel and others. Looking for Orifice Flange Assembly ?